2. ბიბლიოგრაფიები ხელმისაწვდომია თარგმანების მონაცემთა ბაზაში. 3. 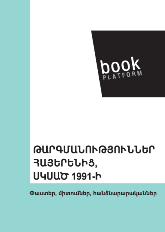 Power Point summary of data and conclusions from the 11 studies can be downloaded here in English and in Armenian. 4. 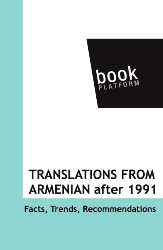 Terms of Reference of the Study can be downloaded here in English and in Armenian.